Christmas is around the corner and if you’re employed, raising children or just plain busy enjoying life, there’s barely any time in any of our lives to get succinct about our wish lists for the next two quarters’ gifting season. Goodbye wedding gift season, hello holidays and Valentine’s Day. Tis the seasons for receiving. While Pinterest is fun, I don’t think anything is quite as addicting, fun or useful in terms of wish list building than newly launched at DEMOFALL2012 conference ThreadMatcher. Still in beta but about to launch fully, this site is already getting me excited about the potential for friends and family to perhaps supplement this budgeting tight wardrobe with some accessories, a dress here or there so we can keep looking like a million bucks. Let’s be honest, big ticket items on one’s wish list for Christmas or Hannukah such as the newest and best tech gadget, ahem…iPhone5…goes straight to the top of one’s list and directed to the eye level of one’s nearest and dearest. But for one’s friends, we can all use a little style guide to help us figure out what our friends really want and would LOVE to have in their closet and actually wear/use as opposed to…oh great…thanks for yet another pen. Course the ho hum changes to my gosh thanks if it’s a Montblanc, but I digress…ThreadMatcher has synced the addictive and fun quality of Pinterest and matched that behavior of likes and dislikes to one’s style preferences and has made window shopping online fun. You don’t have to buy everything that ThreadMatcher or even like what it shows you, but it really does make you wish you had a bigger wallet. Alas til I win the lottery, I’ll be adding items to my wishlist, in hopes that some kind friends and family may surprise me with some item someday. 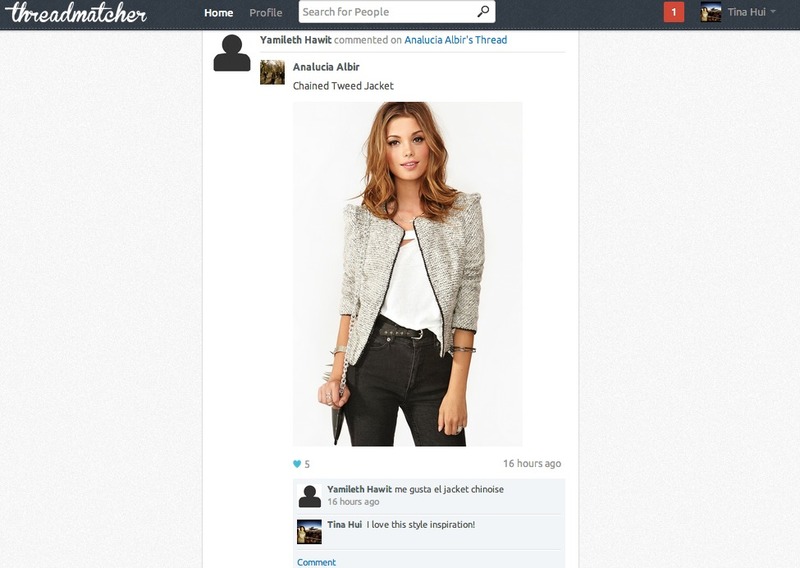 Until then, ThreadMatcher is a great fix to my retail therapy and style inspiration needs. Thanks for reminding me what fabulousness could be or already does dwell in my closet and showing me what my friends love too so we can all compare and share the best flats, bags, heels, dress and items of fancy.